First Citizens Bank Review: Account Good for You? If you live in one of the 12 states in which First Citizens Bank is located, you may want to put it on your list of banking options. They have a large number of deposit accounts to choose from and they offer several ways to waive the monthly service fees. First Citizens Bank has been around since the 1800s, growing exponentially since its original bank opening. 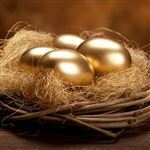 Like many large, multi-branch banks, you may not find the highest interest rates possible today, but you may receive benefits that you can't find anywhere else. Keep reading to see if First Citizens Bank suits your banking needs. Each First Citizens Bank checking account includes a free Visa debit card, free online and mobile banking, and access to 475+ ATMs. Free Checking: If you don't like paying fees for your checking, this may be a good choice for you. There is no minimum balance to meet and there are no fees, unless you don't opt-in to receive e-Statements. First Citizens Bank gives you 60 days to change to eStatements or your account will be changed to a "fee-based" checking account. Select Checking: If you keep a balance of $1,500 in your checking account or you have a direct deposit of at least $250 per month, you won't pay a service fee on this account. It comes standard with eStatements or paper statements, whichever you choose. Premier Checking: If you like to earn interest on your checking account balances, you'll need a $5,000 balance across all deposit accounts at First Citizens, direct deposits totaling $4,000 monthly in your Premier Checking, a line of equity of at least $25,000, or a consumer loan of at least $10,000. You'll be eligible to receive higher rates on CDs and lower rates on equity loans. You'll also be eligible for five free non-First Citizens Bank ATM withdrawals. Finally, you receive free money orders and cashier's checks. Prestige Checking: With at least a $100 opening deposit and a combined $25,000 deposit balance, you can waive the monthly service fee on this account. You can also waive the fee with direct deposits of at least $6,500 in your Prestige checking account, a line of equity of at least $100,000, or a consumer loan of at least $25,000. In addition to the benefits of the Premier Checking account, you'll also receive free overdraft protection transfers, a free 3" x 5" safety deposit box (where available), and free designer checks. Premier Executive Checking: You can open this account with $50, but you'll need a combined balance in all deposit accounts of at least $100,000 in order to waive the monthly fee. Along with all of the benefits of the Premier and Prestige Checking accounts, you'll receive tiered interest rates, higher limits on your ATM withdrawals, higher rates on CDs, unlimited non-First Citizens Bank ATM withdrawals, free incoming wire transfers, free external transfers, and free stop payments. At First Citizens Bank, the more money you save, the higher the interest rate they will offer. They offer a variety of savings accounts, including your basic savings with fixed interest rates and high yield money market accounts to make the most of your savings. 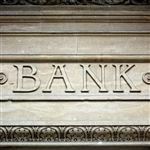 E.Savings: If you find yourself rarely going to a physical bank branch, the E.Savings account can save you money. This account has no minimum balance requirement or monthly fee. You are restricted to two withdrawals per cycle, though. Any withdrawals beyond that and you will pay a per withdrawal fee. You open and maintain this account online with the exception of the provided ATM card, which you can use to make deposits and withdrawals. Regular Savings: You can waive the fee on this savings account by keeping an average balance of $300. But you'll need a minimum $2,500 average daily balance if you want to conduct more than two transfers per month. If you don't keep that balance, you'll pay a fee after the first two free withdrawals. The interest is compounded daily on this account and there are no monthly service charges for children ages 17 and under. Money Market Savings: If you have $500 to open the account and you plan to maintain a $1,000 average daily balance, you can earn higher money market interest rates on this account. You can withdraw or transfer funds throughout the month free of charge, but you may pay excessive withdrawal charges if you perform more than 6 transfers/withdrawals in one month (as that is federal law). CDs: If you are able to tie your money up for a specific period between 7 days and 60 months, you stand to earn higher interest rates on your money. The CDs don't have a monthly fee and your money earns tiered interest rates (the more you save, the higher the interest that you earn). You do need at least $500 to open a CD at First Citizens Bank. First Citizens Bank Customer Service: You can reach customer service at 1-888-323-4732, 7 AM to 11 PM Eastern Time, 7 days a week. You can also access the automated system 24/7. You can open a Together Card to help your teenage or college-aged kids manage their funds. The Together Card is a reloadable Visa debit card. Once the funds run out, your child can't use it. This eliminates the risk of overdrafts and teaches financial responsibility. It's free with the Prestige or Premier checking accounts, but it is available with all other checking accounts for a nominal fee. You can enroll in Overdraft Protection. First Citizens Bank offers a variety of choices to help you with overdrafts. You can link your First Citizens Bank savings account or apply for a Checkline Reserve account, which is a line of credit to help you in case of an overdraft. Fees apply for each type of overdraft protection, so make sure you understand the bottom line before enrolling in any type of protection. First Citizens Bank has special bank accounts for military members. The two checking accounts are free with a monthly direct deposit. The savings account can be free with a daily average balance of $300. The accounts offer relationship banking benefits and the savings account earns interest on the balance. You can make deposits 24/7. First Citizens Bank offers Intelligent Deposit ATM Banking. You can make deposits 24/7 without deposit envelopes. The system can read your checks and count your cash to properly debit your accounts. Checks posted before 9 PM on business days are posted the same day and cash deposits are immediately available. You can manage your finances on the go with the mobile app. You can do many of the same tasks you can do in the online portal with your mobile app. In addition, you can deposit your checks right from your mobile phone without having to leave the comfort of your own home. You can receive alerts via email or text about your bank accounts. You can decide which notifications you receive, whether it's when your account balance is low, when you incur overdraft fees, or when your password is changed. This way, you can know right away if someone has hacked into your account or stolen your account number. You can pay friends or family right from your mobile phone. With just an email address or phone number, you can pay your friends and family. If you go out to dinner and want to split the bill or you are splitting the cost of a gift, paying friends and family is simple and done on the spot, although transferring the funds may take one or two business days. You can set up automatic deposits into your savings account. If you find saving money difficult, consider setting up automatic deposits on paydays so that you pay yourself first. This takes the thinking out of saving money. 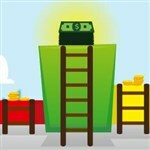 You'll earn interest on your money too, helping you to grow your savings quicker. You can get traveler's checks in foreign currency at First Citizens Bank. First Citizens Bank will make sure you understand how the currency differs when you travel, so that you don't risk losing money or misunderstanding how much you may need while traveling abroad. You can earn relationship interest rates on CDs with certain checking accounts. First Citizens Bank provides higher rates on CDs when you have a Premier or Prestige checking account. This helps you grow your money faster just for staying loyal to First Citizens Bank. First Citizens Bank Routing Number: You can find your First Citizens Bank routing number on the bottom of your checks. It's the first set of numbers on the left side of the check. Since First Citizens Bank operates in 12 states, each state has its own routing number. You need to keep high balances in your checking account if you want to earn interest. The checking accounts with low balance requirements don't earn interest. If you don't meet the minimum requirements to waive the fees on the interest-bearing accounts, it could cost you quite a bit of money each month. First Citizens Bank isn't transparent about their interest rates on savings accounts. They don't provide the information online, which means you either have to call a bank representative or visit the bank in person. First Citizens Bank isn't a national bank. If you want easy access to your funds, you will need to live in one of the 12 states in which they are located. Citizens Bank: Citizens Bank is a Midwest and East Coast bank with branches in 10 different states. Citizens Bank offers a large number of checking and savings account options as well as CDs and IRAs. They also offer a GoalTrack program that helps you track and meet your goals, with bonuses offered in certain situations. BB&T: BB&T operates in 13 different states and has deposit accounts that meet the needs of people of all ages. They have accounts that cater to seniors and teens. They also have savings accounts that offer high-yield interest rates for those who are in between investments and need a safe place to park their money. Bank of America: Bank of America is a household name. People tend to choose Bank of America because of its many locations across the country. It makes it easy to access your own money even when you travel. Keep in mind, though, you'll only have a few accounts to choose from, as their account selection is much lower than many other banks, First Citizens Bank included. If you like keeping all of your banking in one local bank, First Citizens Bank does offer many benefits. While you can't access your funds nationwide, you will find many ways to waive your monthly service fees and maximize the interest earned on your deposit accounts. Leave a comment about First Citizens Bank Review: Account Good for You?